. : Farm Forest Line - Fungal tree diseases :. Fungi are transmitted through soil or air and are the major cause of disease in trees. Some affect a wide range of eucalypts while others are species specific. They damage roots, wood, leaves and flowers. Symptoms of fungal disease vary between plants and plant parts. It is not always easy to identify which fungus caused a disease, or if the disease was actually caused by a fungi at all. Other agentsfor example, bacteria and insectscan cause similar symptoms including leaf necrosis, wrinkling or leaf spotting. Sap-sucking insects and leaf miners commonly act as carries of pathogens further complicating the diagnosis. 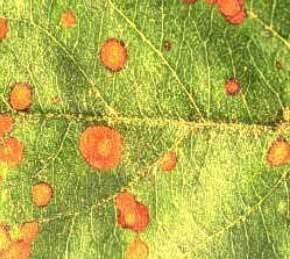 Even nutrient deficiencies can result in leaf damage that looks like fungal infections.  an environment that is suitable for disease development. The extent to which a plant is affected by a disease depends on the health of the host, the pathogens virulence, the environmental conditions, and how these factors interact with each other. Because forest habitats can be very complex, treating a disease might not be straightforward, possible or practical.